I'm wanting to put a EFI throttle body conversion on my Dart with a 5.9 Magnum. I'm planning on driving this around the country so I'm concerned about the reliability of these systems. I really tired of carburetors after 45 years of dealing with them. I've use one setup that being an older Fast EZ on a customers car. We were really happy with the outcome. The two setups that I'm looking at are the Fast EZ 30226-kit and the Fitech Go Street. Any real life experience logging many miles on these??? Have you done any mods to the 5.9? I only ask because I swapped a 5.2 magnum and used a 1995 engine harness and ecu and it starts and runs like new. Cost was 50 bucks. 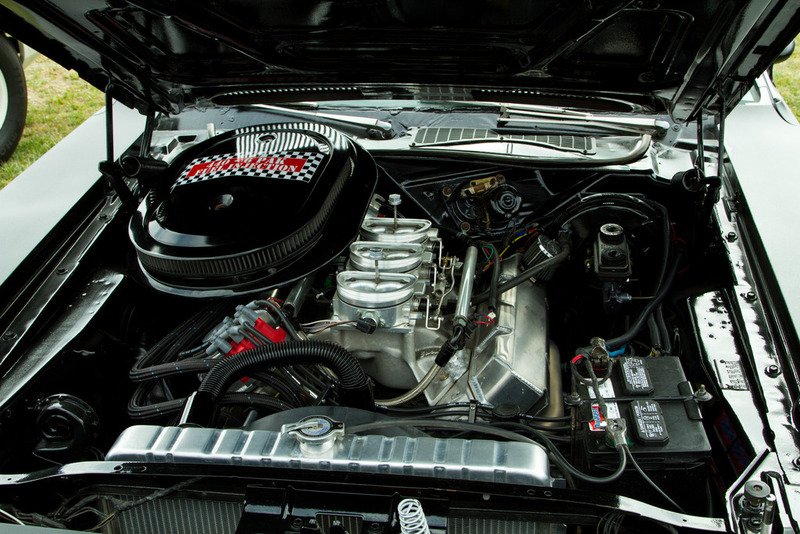 It is the 380hp crate motor with a dual plane manifold. I've got about 800 miles on a Holley Sniper kit using their fuel pump. It's performed great. Whoever's kit you go with though you should do an in-tank pump installation with some kind of baffle. This is especially important if this is a cross country cruiser. 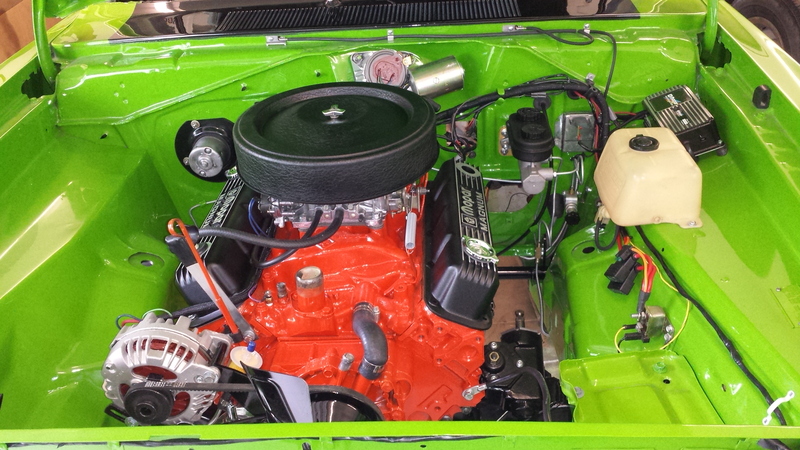 For a little more change, the Edelbrock multipoint setup can be had for less than 2K. It features a single plane manifold. A specter tank from Rock Auto and you have MPFI computer controlled ignition and solid fuel delivery. With all the fiddly bits you'll need, It can come in comfortably under 2500. No experience with it though. And, I don't know whether or not it batch or sequential fire. At any rate, my research indicates that adding computer controlled ignition adds around $500 to any of the TBI setups. Also, from what I've seen personally, the TBI's don't really like dual plane manifolds and you may need a single plane to be completely optimized. Keep in mind though, I'm in Denver where single plane manifolds are basically useless with carbs if you want to do anything but buzz to the track. The last one I wrenched a bit on was the single plane Magnum 380 crate engine. Wouldn't idle, stinky exhaust and weird part throttle behavior with the appropriate Holley, dialed in on a dyno. Fitech installed perfectly with a Tanks Inc. setup. The guy drives like a grandma and complained about the top end. Answer ended up being you need to drive it like you intend to use so it can learn, even if you only do WOT to impress your friends. The guy is very happy now, and even did the Central City Hill Climb, which is a reliability run with mostly traditional hot rods. Lots of flat head Fords. Another guy is fighting with getting a Fitech running properly on a dual plane (mild 350 in a C-10). He sent the unit end for repair under warranty because of strange behavior, hasn't gotten it back yet but the guy is bummed because FiTech recommended a single plane intake to him and the current one is beautified to the tune of 40 hours of polishing and clear coating. I put ez efi on my duster. Before the efi I put about 8500 miles on it, with a Holley 750. After the efi I just don’t feel as comfortable. Originally I had it on a b engine performer. I tried a torker that I had, only thing I noticed, it sounds different, and I think gas mileage got worse. I had the ez efi sitting on the shelf a while, bought it second hand. But when I put it on they still seemed kind of popular. Now it seems antiquated compared some of the others It has the handheld unit, I can upgrade to the touch screen but it almost seems like it would make more sense to just switch to the sniper. I do have the tanks inc. tank. That I like, and I like the easy start and idle of the efi. That’s about it. I plan on using an in tank fuel pump with a return line and regulator. Shabby or loose wiring or connectors are the most common issues when things go bad. There's nothing more annoying than getting stranded by a lousy connection somewhere. BcudaChris I'm over in Grand Junction. I've been running dual planes on my street motors for years with no problems. 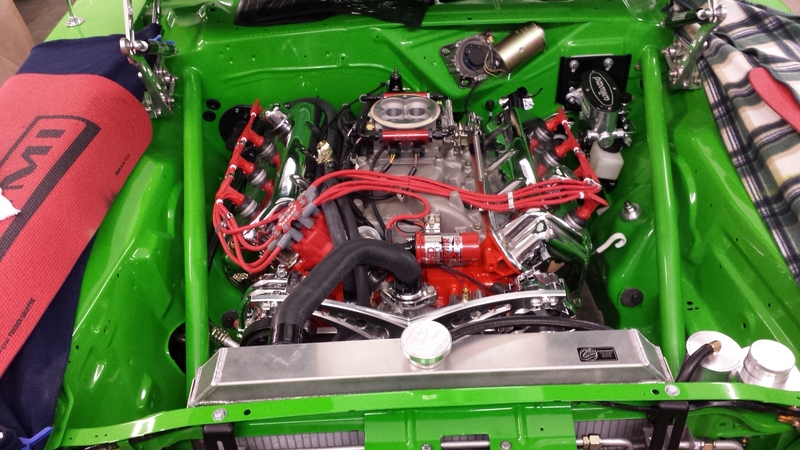 The one EZ setup I did was on this 472 Hemi crate motor with a dual planes. The setup behaved very well. Started right up. Great idle. Crisp throttle responce. Ran great. No smelly exhaust and burning eyes. No fowled plugs. I understand that on a race motor a single plane is the way to go. True but being a retired Master Electrician wiring and connections usually aren't a problem for me. I'm more concerned with failure of the pump, injector or controller. I've been running a classic f.a.s.t box since 2009. It was 10yrs old tech at that time. Never left me stranded. Cheap walbro 255 pump hanging on the frame rail, noisy but keeps working. I have >3000 miles on my Fitech conversion with no issues. Definitely drive my car more now, I'd be more concerned about driving with a carb. I have over 100,000 miles on a holley projection, installed in 1996 has had one pump in the first year, one tps, one oxygen sensor. I know others have had disasters with these but I think you need a modern charging system to keep voltage high at idle, and good connections. My install is on a dual plane, frame mounted pump below tank, and the key in my mind is the 100 amp at 950 rpm neville alternator, it never low voltages at idle not the joke 100 amp factory case junk. One other item, I used the factory tank pickup, it runs dry all the time when low and the pump has never failed from that, it is a walbro. Low voltage kills these systems, I will go Holley for my next install. If I was serious about getting far from home >300-400mi with an aftermarket EFI, I would consider carrying a spare unit. As costly as it seems, you're up a creek if you do have an issue and nobody will have parts on-hand to get you going again. My Hemi swap isn't really in much better shape from that aspect, but I do have many factory Mopar quality parts on it. That said, I have about 5,000 trouble free miles on it. I have four years and over 8000 miles on my system. No it's not a plug and play system, like you are looing for. But mine has given me no problems so far. F&B throttle body with FAST EFI ECU. Last edited by 67vertman; 10/18/18 11:18 PM. Ya that was always in the back of my mind out of town, I carried a regulator, pump and a afb carb, a distributor, ballast, control box and some line always. I run a Megasquirt MS3X system that I assembled myself from a kit, had to solder all the resistors on the board etc. Its has been on the car 3 years now and has been great. I honestly would be more concerned about an MSD box or something of the like failing on me. Failing MSD boxes were one of the things that pushed into an EFI system that ran everything with sequential fuel and coil on plug ignition. I have several thousand miles over these last 3 years on the megasquirt system. I have completed 3 drag weeks and for 2018 I averaged a 10.69 ET from my little 416 small block Barracuda. I am more confident than ever with the reliability of EFI. I would carry a spare fuel pump, my car is set up with two of them that are staged and moving the secondary pump to become the primary pump only takes a few seconds. My pumps are external though and I feel they are not as reliable as an in tank pump setup. I have 1200HP of fuel pump for my 600HP engine, its overkill but the redundancy is nice for a street car. I have had one pump failure and I was down on the side of the road for about 2 minutes. Unknowingly my fuel filter had become clogged and the pump was working too hard and it died. I am more aware now and have not run into that problem again. Megasquirt always interested me. But does it have any advantage anymore with with some of the stuff Holley is offering now? Megasquirt will save you a lot of money if you want all the features for sure over the holley stuff, it seems that there is a lot of online help with those systems too. 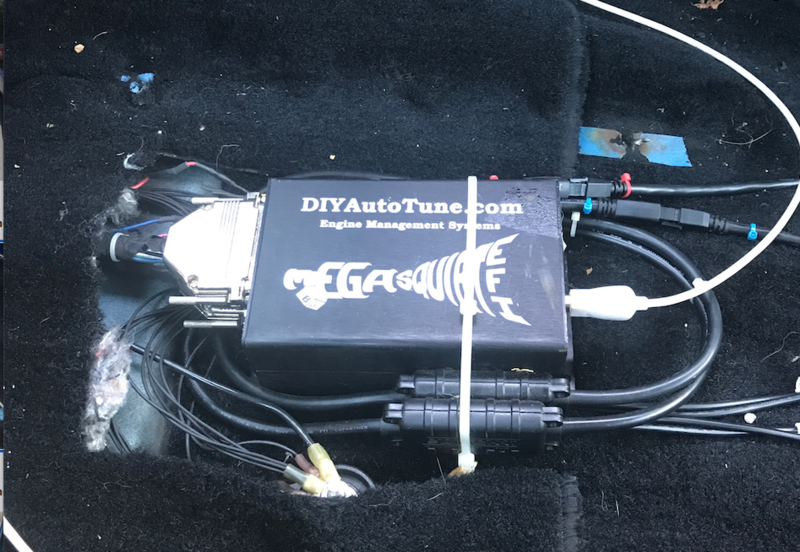 If you understand the systems it is hard to beat, my son uses one on a turbo BMW M3 swap, but he grew up in the digital, computer age so it is easy for him.